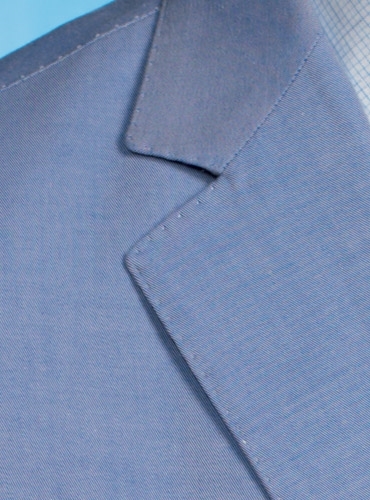 Our beautiful Italian woven cotton light blue sport coat is a versatile addition to your summer wardrobe. 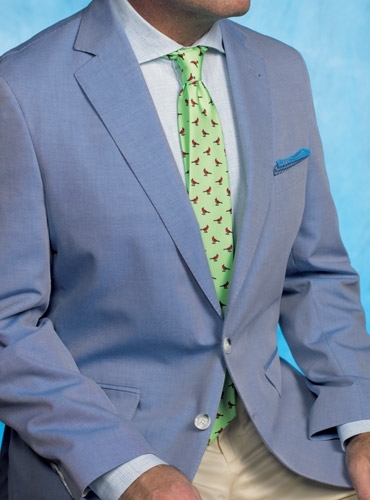 Beautifully tailored, with elegant pick stitched lapels, double pipe and flap pockets and side vents, but with a soft shoulder construction to create a nearly weightless summer sport coat, it is available in a full range of sizes. We think you will enjoy wearing it with our elegant sky blue Italian woven linen dress shirt (see page 19 for details), with or without a necktie. 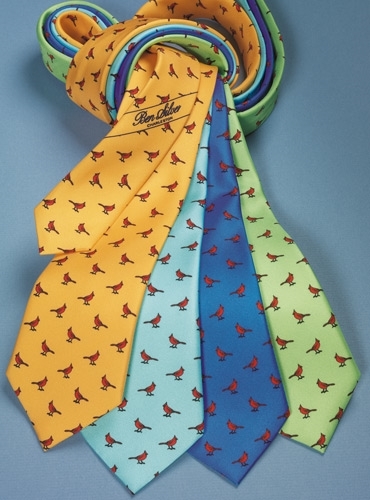 However, how can you resist this Italian printed silk beauty! Our cardinal, in – what else? – cardinal red, graces the handsome lime green ground. 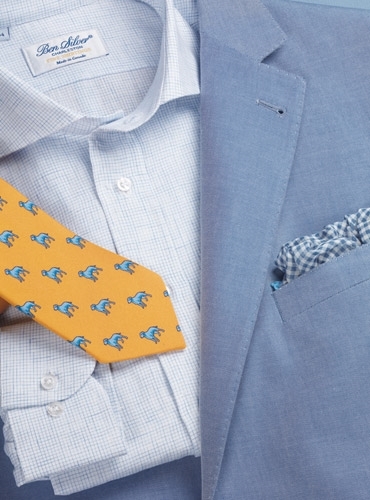 We suggest the blue gingham check pocket square as a finishing touch. Shown with our white cotton and cashmere trousers. These jackets run small, please size up one size. For example, a 42R will need a 43R in this jacket.